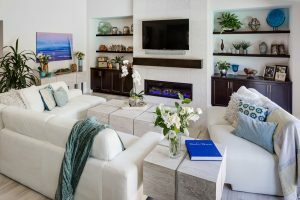 We’ve been remodeling homes in San Diego for more than 35 years and what we treasure most is knowing that we exceed homeowners’ expectations. The second best thing? Being recognized for the remodeling projects we do for those homeowners. We’re honored to be named in three categories for the Southwest Region of the 2018 CotY Regional Winners by NARI, the National Association of the Remodeling Industry. Here’s a look at our award-winning home remodels. 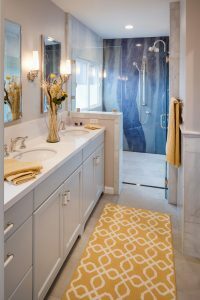 The homeowners wanted a makeover of their bathroom. It was small and outdated. The award-winning remodel turned their tight space into a spacious and elegantly designed master bathroom. In the shower is a full wall of marble slab that creates a beautiful and dramatic effect both when the water is off and on. When the water is flowing, it looks like a cascading waterfall. The focus of the room remains on the slab wall because of the subtle tones that surround it. We chose a soft blue hue from the slab and brought into the cabinetry. The white quartz countertop completes the color scheme. A Complete Remodel Designed For Relaxation! This remodel was designed with three separate settings: a covered dining room, a fire pit lounge, and a raised Jacuzzi with a water feature wall – all are elements that make up this sanctuary. The finishes are simple and sophisticated. 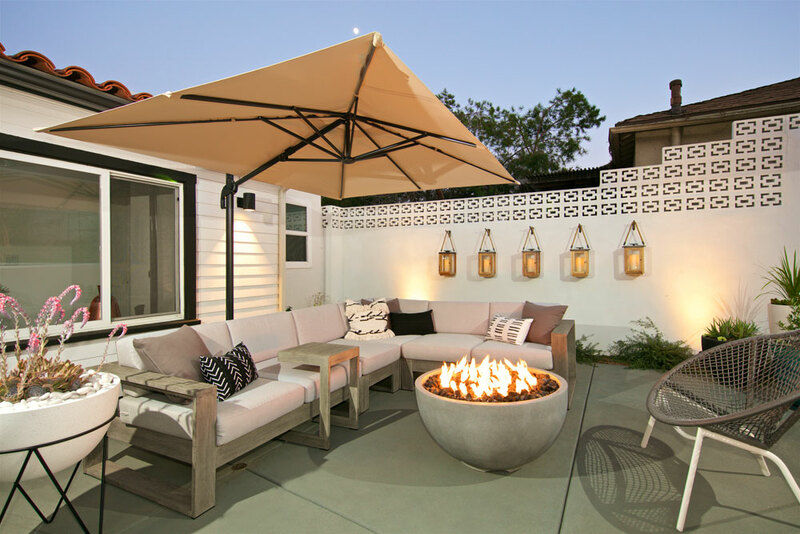 In the lounge, guests can relax after dinner and cozy up to the fire pit while ambient lighting sets the mood throughout the space. 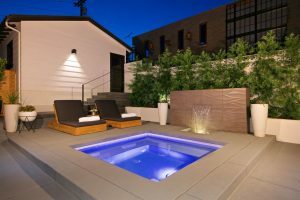 The elevated Jacuzzi space creates a welcoming atmosphere accentuated with a tiled water feature that provides the soothing sound of running water for guests to enjoy. The existing fireplace for this 1970s Del Mar home was outdated, and its location was not ideal. The homeowners wanted a change. Everything original was closed off and dark. They wanted more natural light and an open and spacious room. To achieve this we rerouted the venting to put in a central fireplace with symmetrical cabinets. This stunningly contemporary design showcases classic lines with a modern coastal touch. Inside the gas fireplace, we installed a crushed glass rock bottom that features gorgeous blue flames making this the perfect place to relax and entertain.